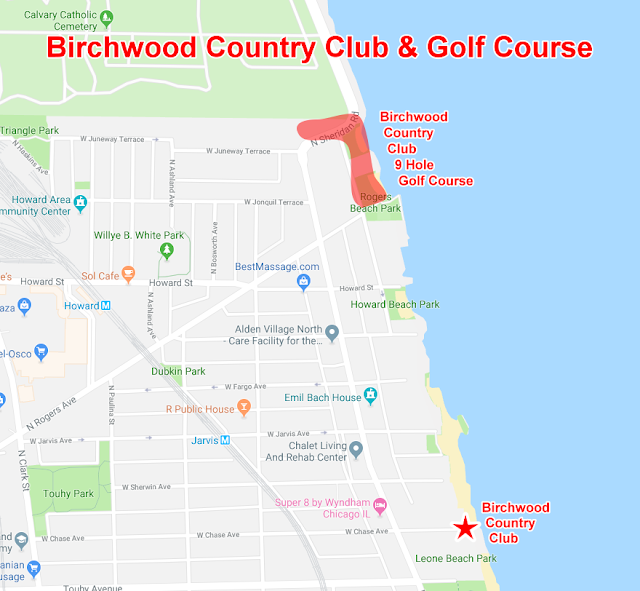 The Digital Research Library of Illinois History Journal™: Birchwood Country Club, Chicago's other Rogers Park/West Ridge community golf club. Birchwood Country Club, Chicago's other Rogers Park/West Ridge community golf club. Most people of a certain age remember West Ridge’s only golf club at Western Avenue and Pratt Boulevard (now in Warren Park and named the Robert A. Black Golf Course). For the first few years of its life, it was located in Edgewater and was called the Edgewater Golf Club. But, the Rogers Park community had another golf club, although no one living today remembers it or even knew it ever existed. 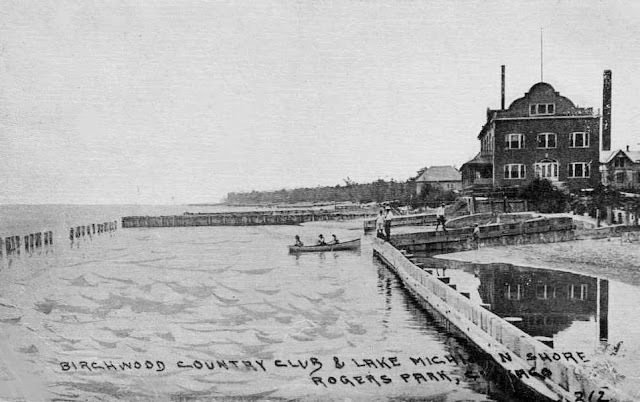 It was the Birchwood Country Club and was always within the Rogers Park community. Unlike the Edgewater Golf Club, it had a short life, from Wednesday, July 4, 1906 until perhaps 1913. A group of residents opened the Birchwood Country Club with membership initially limited to 100 individuals living in the Birchwood Beach area. The clubhouse shown in the photo looks more like a railroad depot than a typical clubhouse of the period, and sure enough it was—originally. 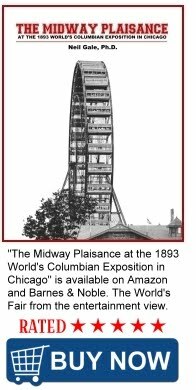 A Friday, May 29, 1959, Chicago Tribune article recounts the recollections of Graham Jackson and confirms that the Chicago, Milwaukee & St. Paul Railway (known then as the “St. 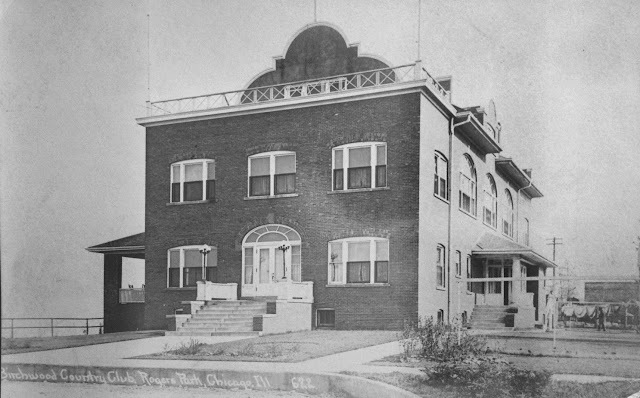 Paul”) donated the clubhouse to the club after it discontinued passenger service into Rogers Park in 1908 when the Northwestern Elevated Railroad’s line took over operation on the St. Paul’s trackage. According to Mr. Jackson’s recollections the clubs nine-hole course and was located north of Rogers Avenue and south of Calvary Cemetery near Sheridan Road. Jackson, along with his father, Walter L. Jackson, jointly won the Pater-Filius alternative shot event in 1910 at the club. Graham Jackson recounted that Sheridan Road ran between the first and second holes and wasn’t much of a road back then. The Birchwood Country Club, Rogers Park, Chicago, Illinois. According to Jackson, “The first hole started at about where is now Rogers Avenue and Sheridan Road and went north. The third tee must have been about where the gas station was [since replaced by townhouses], and the fairway ran west, following the curve of the cemetery to form a dogleg. It was known, then, as the Devil’s Elbow.” According to Jackson, the members of the golf club had an opportunity to buy the land from the owner from whom it was leased but declined because they thought the price was too high--$600 an acre. caddie at a Chicago course, the Edgewater Golf Club. 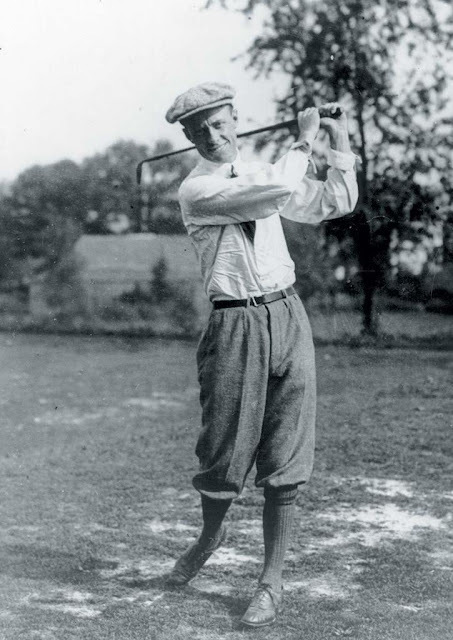 In the Tribune article, Chick Evans, a nationally known golfer affiliated with the Edgewater Golf Club, confirmed Jackson’s recollections and added that the Edgewater Club considered purchasing the Birchwood Club in 1910, but purchased the land at Pratt Boulevard and Western Avenue instead. 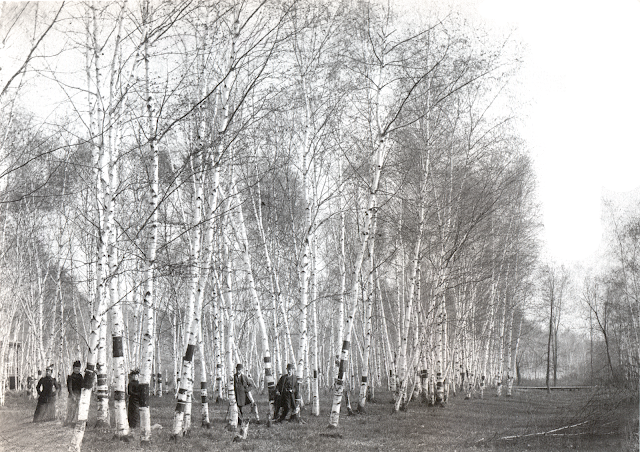 Jackson remembered plentiful strands of white birch trees—which, not surprisingly, gave its name and the name of the subdivision to the south, Birchwood Beach. 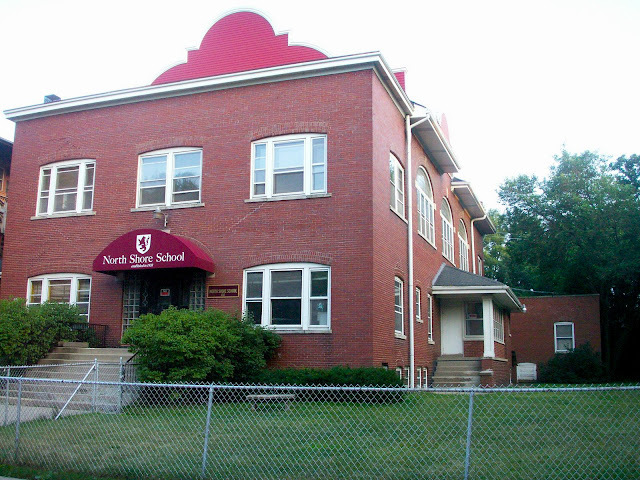 North Shore School, 1217 W. Chase Avenue, Chicago, began life as the Birchwood Country Club. Sometime after 1913, the building became a Montessori Boarding School which housed about 10 boys and 10 girls. It is unclear if non-boarding students attended also. Gathered from online comments: The library was full of obscure children's books from the 1940s. There was a manual bowling lane in the dining hall. Boarding students went to a local stable for weekly horseback riding lessons, but because it was a privilege, only the weeks model students were allowed to go. The end of the school year meant a trip to Lincoln Park Zoo. The North Shore School was raized in March of 2008 to make way for a condo-building. Great article. Lived in the area for many years and never knew this. Some beautiful homes across from the park.